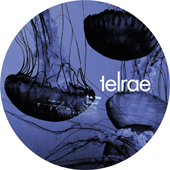 Yes the queen of subtle drones and spooky soundscapes is back with a brand new 10“ on Telrae. 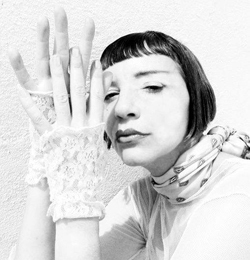 Cio D´Or has released 13 EPs, two long payers and numerous mixes in her distinctive extravagant and charismatic style. Her music includes techno productions as well as music for theater. We picked up on Cio when she moved to Cologne several years ago and appreciate her as an exceptional individual and as an tastemaker. This is the second release she has done with us. Her hypnotic DJs sets enchant clubbers around the world, from Berlin's Berghain to people in Tokyo. Her Track „OFF" describes a biotope in which two different poles gently collide. Rooms of reverb meet orchestral sounds meet acoustic clicks, in a process of an ongoing motion, where there is no beginning and no end. The flip side highlights "AND ON" and shows white horses amongst waves of sounds. This track could be an electronic soundtrack to a day at an isolated beach in the Indian ocean. Enjoy.